The roar of a grid full of engines, the smell of burning rubber, tangible excitement and the unmistakable roar of some of the most advanced cars on the planet. 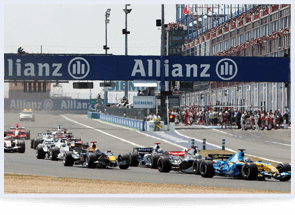 Nothing beats a Formula One race, on home turf at Silverstone, for sheer, exhilarating excitement. 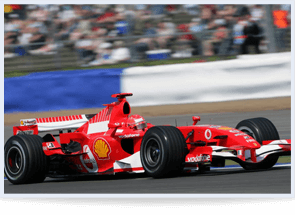 If you plan on attending the British Grand Prix, a professional Formula One chauffeur is a chic, luxurious travel solution suitably befitting the glamour of the occasion. With thousands of fans, cars, team members, supporting staff and press to contend with, navigating in and out the busy Northamptonshire circuit can be testing for the uninitiated and threaten to ratchet up stress levels on what should be an enjoyable occasion. If you’d prefer to let the professionals do the driving and concentrate on the on-track action, a Formula One chauffeur is the only solution. Two decades of high-end chauffeuring experience means Mercedes Chauffeur Hire has perfected a gold standard of service. This means the latest traffic and travel information for efficient route planning, a smooth, enjoyable journey within the luxurious confines of a world-class limousine, and the services of a professional London chauffeur to protect you from the chaos of a global sporting event and deliver you to the paddock in nothing but sublime comfort. After enjoying the high-octane on-track action, you’ll be whisked from the track in the same level of luxury, at a time that suits you and your guests. Total peace of mind is assured from the start to the end of the day with your chauffeur service ready and waiting discreetly 15 minutes before your scheduled departure and on-hand all day for your return journey. Collection from your home or office as you prefer. Your uniformed London chauffeur will arrive and wait discreetly at least a quarter of an hour before you wish to depart ensuring a timely getaway. Professionally valeted Mercedes S Class limousine, stocked with complimentary mineral water, selection of newspapers, sweets and mints. Uniformed London chauffeur, with a minimum of 10 years professional experience at the wheel. The benefit of two decade’s service, culminating in the signature Mercedes Chauffeur Hire gold standard service – professionalism, courtesy and discretion. Vehicle and chauffeur at your disposal for the whole day, ensuring you can depart as and when you wish for the return journey.